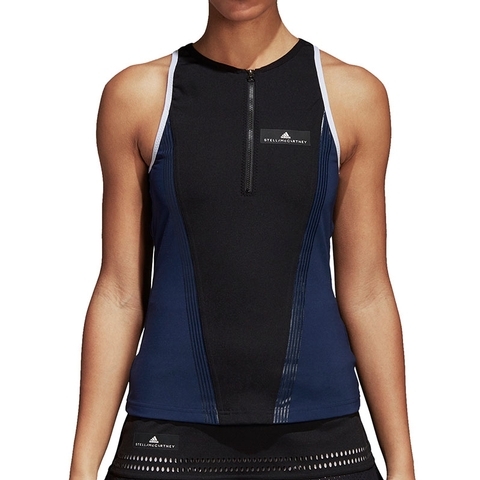 When the competition heats up on the court, the adidas by Stella McCartney Barricade Tank Top cools you down with breathable Climachill. 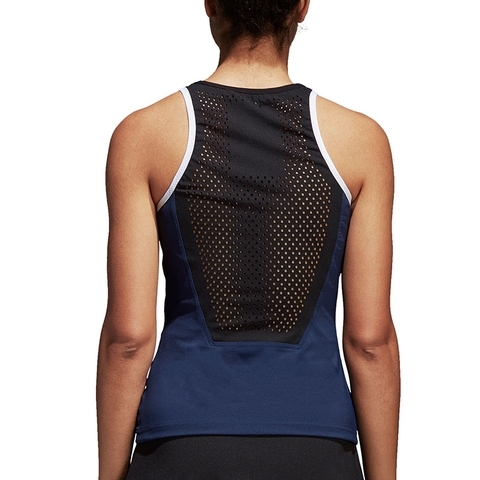 The sleek tennis tank top features a laser-cut panel on the back. 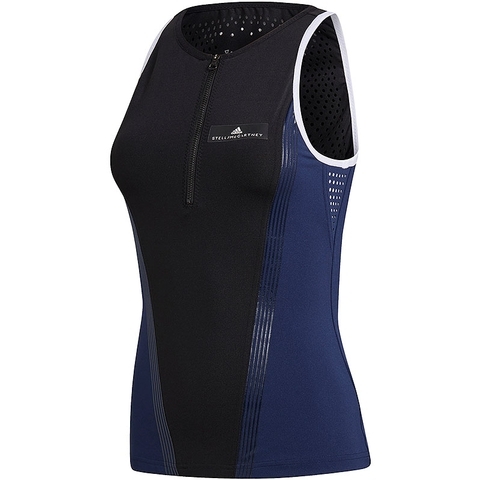 Half zip with stay-down pull. Laser-cut back panel. 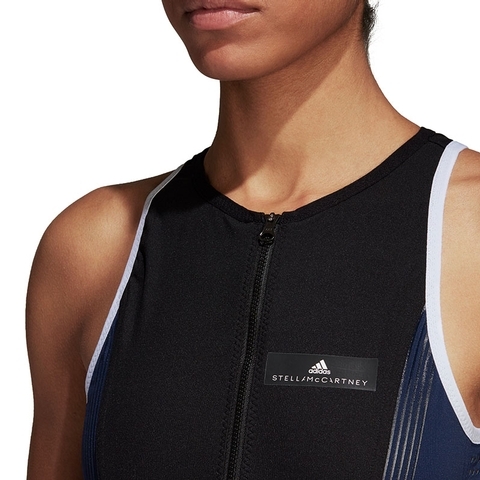 adidas by Stella McCartney logo label on chest. Glossy print detailing along front.